As we now approach Passover, we wish for you and your family a Kosher and Happy Passover. We are told of 'Four Sons' who attend the Seder, in the Haggadah. The Rebbe tells us of a 'Fifth Son' who might not even show up! We are here to make sure that there are no 'Fifth Sons' in our community. We want to celebrate with YOU! ...and let everyone know they are welcome. Together, let us reach out to our family, friends, children, kids home from college, and neighbors to let them know that there is a place for them at our Seder, this Pesach. Passover is the festival of redemption. It is a time for us to go out of our personal limitations, which in turn, leads to the complete global redemption through Moshiach NOW!! Wishing you and yours all the best in this "Season of Our Freedom". Be the "Wise Son" - prepare accordingly! Liberate yourself from processed carbs SELL YOUR CHAMETZ!! No need to throw out your pretzels & beer... put them in a cabinet, label it SOLD, fill out this form and that's it!! Giving Tzedakah for Pesach is called 'Maos Chittim', it is thematically related to the idea of experiencing Freedom on Passover. CLICK HERE. We distribute Passover needs to DOZENS of families in our community! DON'T BE SQUARE, DADDY-O Buy Handmade Round Matzah! It's bread of healing! It's the bread of faith! It's not your grocery-store-bought-cardboard! It is the official food of Passover! Lot's of stores now carry it, and MiYaD can help you get some, too. We are now accepting donations for Matzoh distribution for those who need in our community - Please give generously. 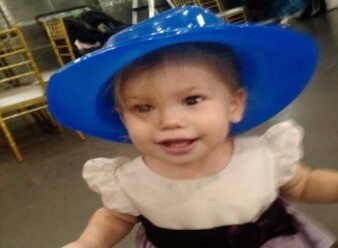 Tens of pounds of Matzoh are distributed locally! All are welcome. Please RSVP. @ a center... gag me with a spoon! For various reasons, each of these options don't sound so 'liberating'. But Passover is supposed to be the season of our freedom, celebrating our physical and spiritual freedom from constraints and limitations. So why don't you spend it with us? Inspirational (and quick!) Haggadah/Seder leadership? YES. Fun & stimulating discussion? YES. All the Mitzvahs done right & with feeling? YES. A Passover Seder never to forget? YES!!! Who charges for such a Mitzvah having you in their home, eh?! This year, as always, Rabbi & Aliza Krivisky and family will be opening their home and hearts to welcome you to their home to celebrate Passover the right way - with friends and family. Don't hesitate to join us! Once again, we invite you to take part in one of the most special, mystical dates on the Jewish Calendar - the Eigth Day of Passover, which is charachterized by the special dinner called the Moshiach Feast. About two hundred and fifty years ago, as the time for Mashiach drew closer, the Baal Shem Tov instituted a custom which underlines the connection between the Redemption and the Eighth Day of Pesach: on that day he would partake of Moshiach’s Seudah, the festive meal of Moshiach. It is an informal, yet highly inspirational & delicious dinner with singing, stories, Torah thoughts and 4 traditional cups of wine (like the Seder! ), all in the spirit of Moshiach's imminent arrival. We would love for you to join us, 7:00pm @ our Chabad House located @ 82 Forsythia Ln., Jericho, NY 11753, for a wonderful evening as we send off the Passover holiday with a bang! The Eighth Day of Pesach is traditionally associated with our hopes for the coming of Moshiach. For this reason, the Haftorah read on that day contains many prophecies which refer to the Era of the Redemption. Among the best-known of these: “The wolf will dwell with the lamb, the leopard will lie down with a young goat” and, “He will raise a banner for the nations and gather in the exiles of Israel." 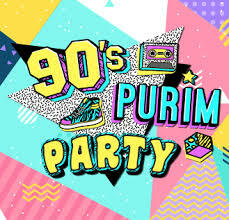 Relive Birthright… on LONG ISLAND @ "Purim in Israel" with MiYaD!! Write a letter at the Western Wall - LIVE! Kids in the Kitchen: Chanukah Foods! Join Aliza @ the Chabad House kitchen for “hands-on” fun making yummy Chanukah treats!! Parents can stay and play too!! Join Aliza for her monthly Women's Circle to bake traditional Chanukah Doughnuts!! Join us for our annual trip to the Barclays Center for Jewish Heritage Night at the Brooklyn Nets Game!! Please let us know if you would like to travel with us. Live Music & Dancing Rabbi’s!! Rabbi's "One more than 40" Birthday Minyan - L.S.D.! L.S.D. This Saturday Morning!!!! Lets.Start.Davennen.!!!! This Shabbos is my Jewish birthday 9 Kislev, so join me at our weekly MiYaD Minyan. Kiddush, Cholent, Lunch served, followed by Keto Fat Bomb Birthday Cake. "It's my Minyan, I'll say L'Chaim if I want to"
Join MiYaD at The Home Depot on Jericho Turnpike in Syosset for a wonderful Chanukah Menorah building project using real materials from the store! 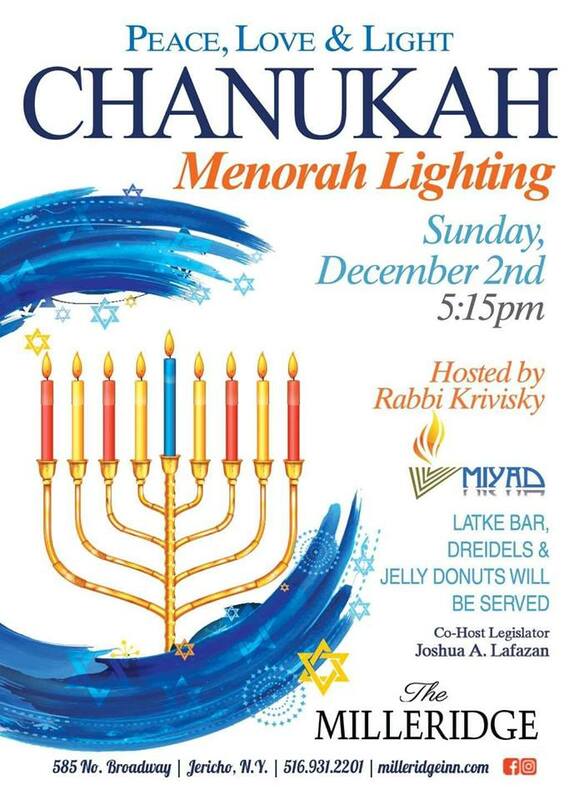 Take home your own Menorah and candles to be used on Chanukah! Traditional Chanukah doughnuts, chocolate gelt and driedels for all participants. We have special guest - YEHUDAH MACCABI in the HOUSE!! Get you picture taken with a Jewish hero! There will be an assembly line led by Home Depot staff that will help your child construct and decorate their own Chanukah Menorah to bring home. We always expect a large crowd, so you can come in anytime between 1:00-4:00pm to participate. You must register below, but you can also check out our event on Facebook here. Dreidels, Candles, Menorah kits, traditional Chanukah Doughnuts… and more!! Join us for an awesome evening of amazing food, drink and DANCING WITH THE TORAH!! 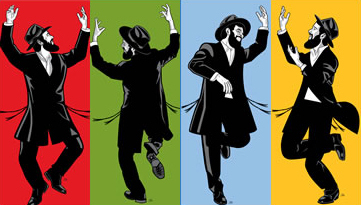 Every Jew may not be a great Torah scholar, but EVERY Jew can dance with the Torah. Our Sages tell us that the joy felt on Simchas Torah permeates our entire year! 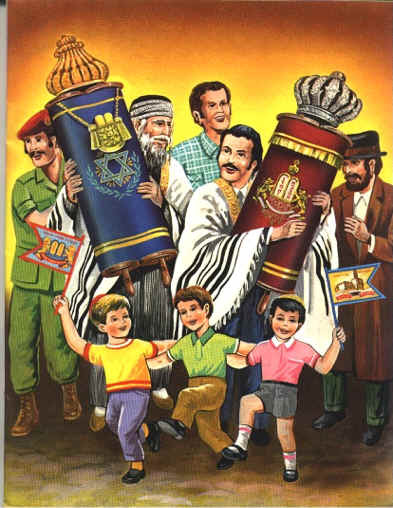 So come celebrate with your Jewish community the last, most joyous day of the High Holidays… SIMCHAS TORAH!! JOIN US IN THE SUKKAH! Our Sukkah is HUUUGE! So everyone is invited & welcome to drop in. Dudes! 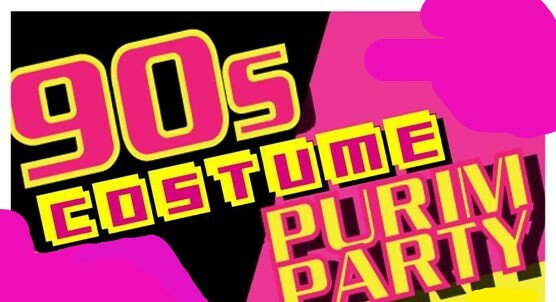 Purim is about to get radical on Long Island. It's like totally like amazing... I mean like it's going to be like totally with like costumes and like pizza and cereal and Zima!!! 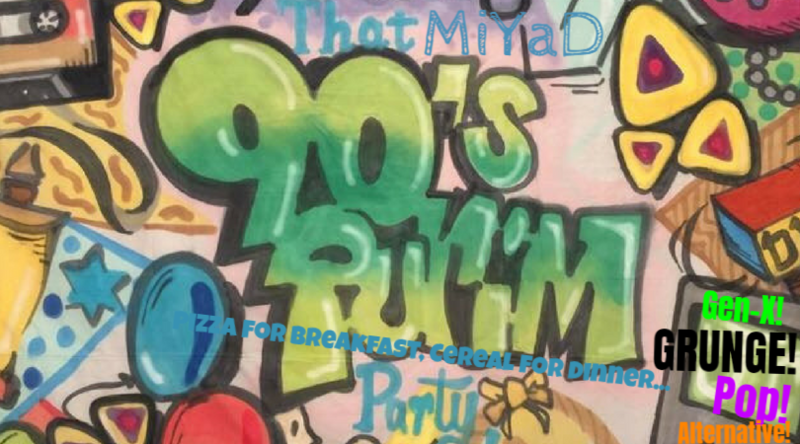 Pizza & Cereal & 90's Theme Candy/Snack Buffet! All of of our events are open to all. - Megillah Reading @ Krivisky's Chabad House Wednesday Night 6:00pm FREE - Graggers Provided!! We will be getting together to express our creative side and enjoy a fantastic night out. 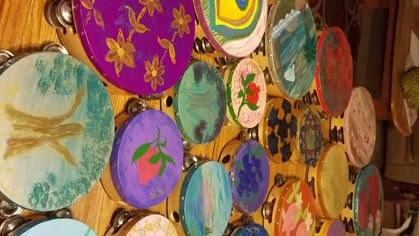 We will be painting our own tambourines just as the Jewish women throughout the generations have done. There is as a mystical significance as to why women celebrate with tambourines and it is just as relevant today, as we explore our role as women with positive conviction in transforming ourselves and the world for good.Inspiring conversation and wonderful company. All supplies provided. Bring friends ~ All are welcome. Help support a fabulous organization MiYaD!! All donations are 100% tax-exempt. MiYaD is a unique mix of the social and the spiritual. Our unified goal is to create a vibrant Jewish life here on Long Island, all while remaining unabashedly hip. 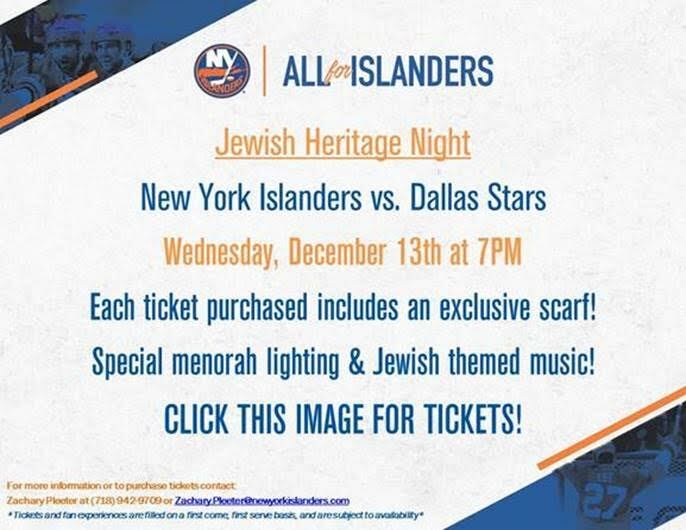 The NY Islanders & MiYaD will be hosting Jewish Heritage Night on Dec 13th against the Dallas Stars. Each person will also receive a special giveaway and groups include just 10 people or more. PLEASE EMAIL RABBI@MIYAD.ORG to sign up!! 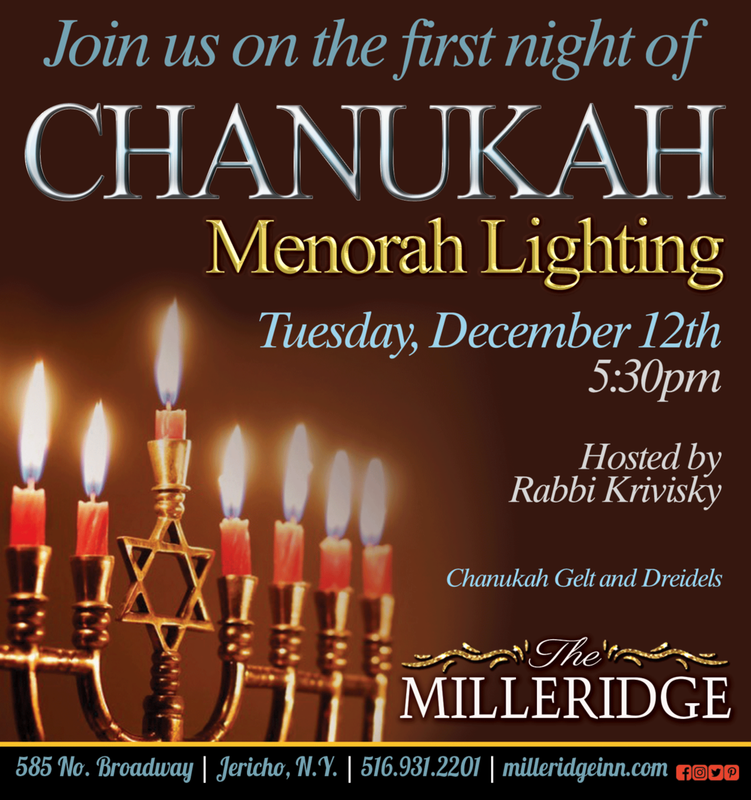 Join us for a Grand Menorah Lighting the 1st Night of Chanukah at the Milleridge Inn in Jericho. Celebrate Rabbi's 40th Birthday with 40 men doing the Mitzvah of Tefillin! A wonderful morning with friends and family together as a community to rejoice, connect and do Mitzvahs with our Rabbi and his family. Buffet Brunch Served, Sermon Shortened. L'Chaim! We deserve to pamper ourselves. This month at MiYaD's Women's Circle, we will be making our own body care products. The lavender bath salts are more luxurious than you can buy in any store. 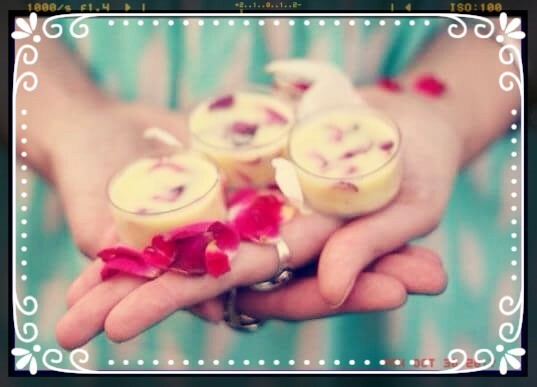 The rose petal lip balm is made from wholesome ingredients. Our venue at the Milleridge Inn is gorgeous. Of course the night would not be complete if we didn't fill it with deep and meaningful discussion. The topic of the night will be Jewish secrets to a successful marriage. Come out for another fantastic night filled with new friends, great conversation, and the opportunity to learn a new skill. We will have the opportunity to crate our own jewelry through guided, professional instruction of Mrs. Vered Segal. This jewelry making instruction will incorporate a therapeutic element that allows you to relieve stress while creating your own masterpiece. Find out why this day is auspicious on the Jewish calendar. Join us for a meaningful night of fun. With current events in Israel, the day of mourning the destruction of the Holy Temple in Israel takes on a new importance. Let's use the day by showing our unity and desire for a secure Holy Land. 9th of Av - The Holy Temple in Jerusalem was destroyed. May we merit the coming of Moshiach when these days will be transformed into days of joy and happiness! Class/Roundtable Discussion following Eicha (Lamentations): Join us for an introduction to TishaB'Av and how we connect to Israel today. Tisha B’Av, the 9th day of the month of Av (Jul. 31 - Aug. 1, 2017), is the saddest day on the Jewish calendar, on which we fast, deprive ourselves and pray. It is the culmination of the Three Weeks, a period of time during which we mark the destruction of the Holy Temple in Jerusalem. 1313 BCE: The spies returned from the Promised Land with frightening reports, and the Israelites balked at the prospect of entering the land. G‑ddecreed that they would therefore wander in the desert for 40 years. Read more. Both Holy Temples in Jerusalem were destroyed on this date. The First Temple was burned by the Babylonians in 423 BCE (read more) and the Second Temple fell to the Romans in 70 CE (read more), unleashing a period of suffering from which our nation has never fully recovered. The Bar Kochba revolt against the Romans in 133 CE ended in defeat: The Jews of Betar were butchered on the 9th of Av and the Temple Mount was plowed one year later on the same date. Read more. Later on in our history, many more tragedies happened on this day, including the 1290 expulsion of England’s Jews and the 1492banishment of all Jews from Spain. Read more. More: What Happened on Tisha B’Av? Starting from midday on 8 Av, we limit our Torah study to the few allowed topics that are of a sad nature or pertain to the Temples’ destruction. The meal must be over by sundown, when all the laws of Tisha B’Av take effect. Tisha B’Av evening services are held in synagogue, where the ark has been stripped of its decorative curtain and the lights dimmed. Evening prayers are followed by the chanting of Eichah (Lamentations). Morning prayers are held without tallit and tefillin, since both are considered adornments. Most of the morning is occupied by the reading of Kinot, elegies marking the various tragedies that befell our people. Work is permitted on Tisha B’Av, but discouraged. On this day, one’s focus should be on mourning and repentance. If one must work, it is preferable to begin after midday. It is customary to give extra charity on Tisha B’Av, as on every fast day. After midday, it is permissible to sit on chairs, and tallit and tefillin are worn during the afternoon prayer. In the synagogue, the ark’s curtain is restored to its place before the afternoon prayers. Many communities have the custom to clean the house and wash the floors after midday, in anticipation of the Redemption, which we await. Many important details and laws can be found in Order of the Day and What to Expect at Tisha B’Av Services. When night falls, before breaking the fast, one should perform netilat yadayim (hand-washing), this time covering the entire hand with water, but without reciting the blessing. It is also customary to perform Kiddush Levanah at this point, celebrating the rebirth of the moon, and our hoped-for national rebirth. The Temple was set ablaze on the afternoon of the 9th of Av, and it burned through the 10th. Therefore, the restrictions of the Nine Days (such as not eating meat, swimming or laundering clothing) extend until midday of the 10th of Av. 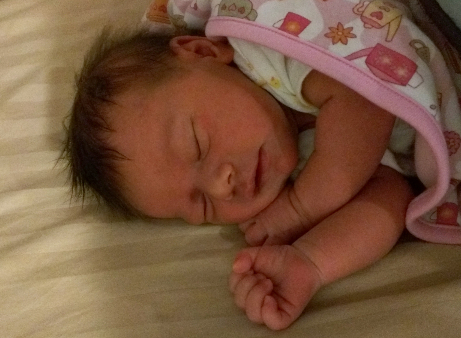 Even as we mourn, there is an element of joy and comfort. Indeed, the reading of Eichah concludes with the verse “Restore us to You, O L‑rd, that we may be restored! Renew our days as of old.” There is also a custom among many to use flimsy paperback Kinot booklets, hoping that they will not be needed next year. It is by no accident that Scripture refers to this day as a mo’ed, a holiday, and Tachanun (prayer of repentance) is not said today. May the time soon come when we look back with the clarity of hindsight to see how all our suffering was but a prelude to happiness and goodness, with the coming ofMoshiach. Amen! Don't wait until Fall to get involved in MiYaD! Being Jewish is an all-season endeavour. Please attend. We need your participation! Join MiYaD and 1000's of Jewish people from all walks of life in celebrating Lag B'Omer with a Great Parade, Concert, Carnival Rides and more!! MiYaD's Annual Garden Party & 10 Commandments Reading!! It is a custom to decorate one's home and synagogue with flowers on Shavuot. This year we will be having a Garden Party outdoors & bringing you to the flowers! Morning Services 10:00am followed by Specialty Coffees, Cheesecakes, Make-your-own Ice Cream Sundaes and outdoor Children's Progam. Donations are always welcome before the Holiday. You don't need to travel to the desert! Dads and Grads, Memorial Day, school is almost out and summer is in the air!! So what is an American Jew to do? As Americans we are just starting to thaw and get excited for great weather outdoors, and as Jews we feel a little empty having nothing to feel guilty about. That brings us to the holiday of Shavuos, the ‘Lost Holiday’. Somehow in all the excitement on our calendar this time of year, the one Holiday that actually makes us JEWISH, is forgotten. 3,329 years ago G-d chose us to become the Jewish Nation on Mt. Sinai, receiving the Torah. Shavuos celebrates that world-changing event. Ironically it is actually the easiest of all Biblical holidays to observe!! It’s only 2 days, versus 8 for Passover and Sukkot! There’s no fasting like Yom Kippur, in fact, we eat Cheesecake! Unlike hours and hours spent in synagogue on Rosh HaShana, we just hear the 10 Commandments read from the Torah during regular Yom Tov morning services! I would argue that Shavuos appeals to our modern, American sensibilities more than any other Jewish holiday! Quick! Easy! Indulgent! Independent! Powerful! 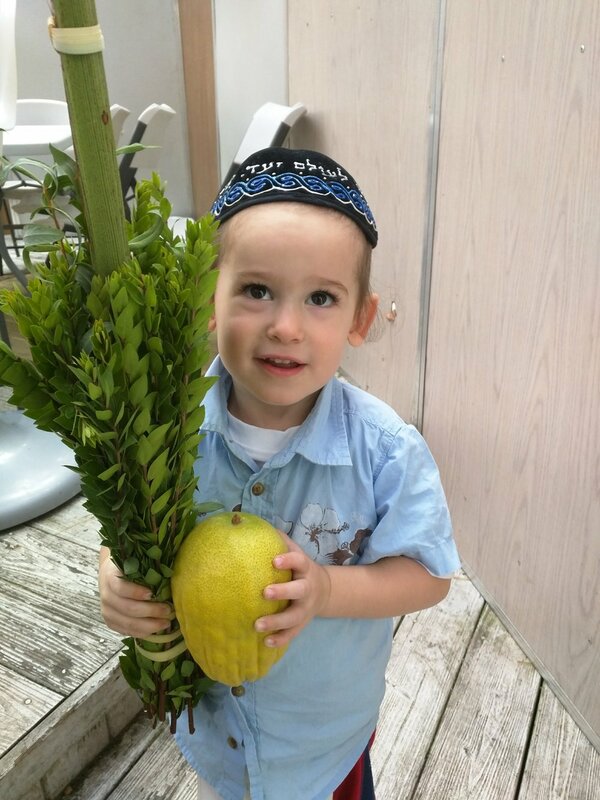 Celebrate Shavuos at MiYaD and experience a truly Immemorial Holiday Weekend. 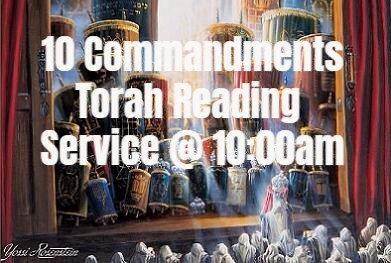 11:00am - Ten Commandments Torah Reading, for all Men, Women & Children. Together, let us reach out to our family, friends and neighbors to let them know that there is a place for them at our Seder, this Pesach. This year, as always, Rabbi & Aliza Krivisky and family will be opening their home and hearts to welcome you to their home to celebrate Passover the right way - with friends and family. We would love for you to join us, Tuesday, April 18th 6:30 - 8:30pm @ our Chabad House located @ 82 Forsythia Ln., Jericho, NY 11753, for a wonderful evening as we send off the Passover holiday with a bang!